Create your album, calendar, or greeting at home with kiosgifts online. Design to match your own unique taste with the optiones & styles offered at kioskgifts online. 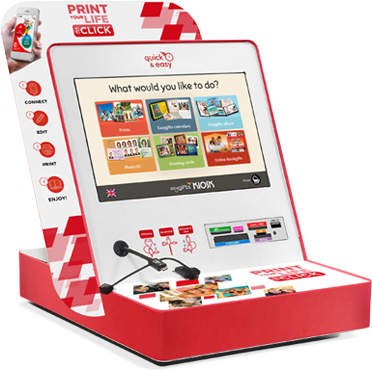 Instant print at the nearest Kiosk retailer. Create your album, calendar or greetings at home with kioskgifts online. Any questions? Ask us and we will get back to you as soon as possible.